In my opinion, I was really happy I went with the imitation flaked crab, because it still turned out yummy for us! If we get the chance to buy real crab, will definitely try it that way, but until then, this is a more economical version ☺️ I also added half a red pepper for some colour and crunch, one more green onion and some chives. Since I felt there was lots of salt from the mayo and imitation crab, I used garlic powder and added a little bit of seasoning salt and a spot or two of Sriracha. With these additions, I think it helped the dip, and we really enjoyed it. 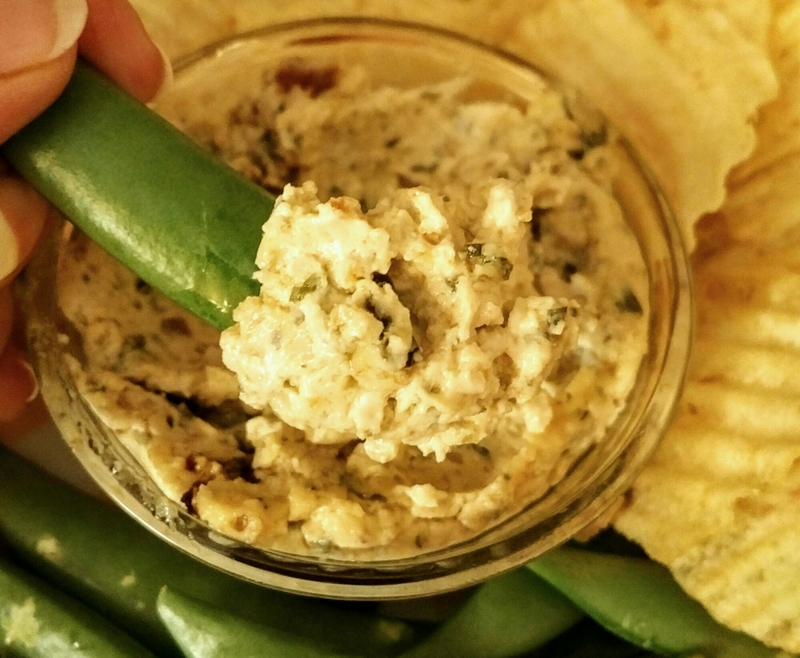 Will add this recipe to the dips rotation we have during Super Bowl and holiday. 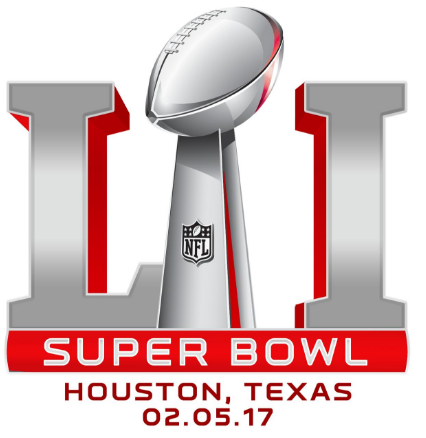 Another Superbowl in the Books!! Hope you all enjoyed the game with great people, and of course…food!! This year I tried two new recipes for our game day meal. First one being the Super Duper Garlic Dip. It’s a simple recipe consisting of 3 ingredients. Cream cheese, mayo and garlic (I had minced, so used that). I also added some toasted garlic and onion dip mix to added flavour without salt. I placed it all in my Little Dipper mini Crock Pot, and let it warm up for about an hour, stirring occasionally. Served it with veggies and chips and we really enjoyed it!! 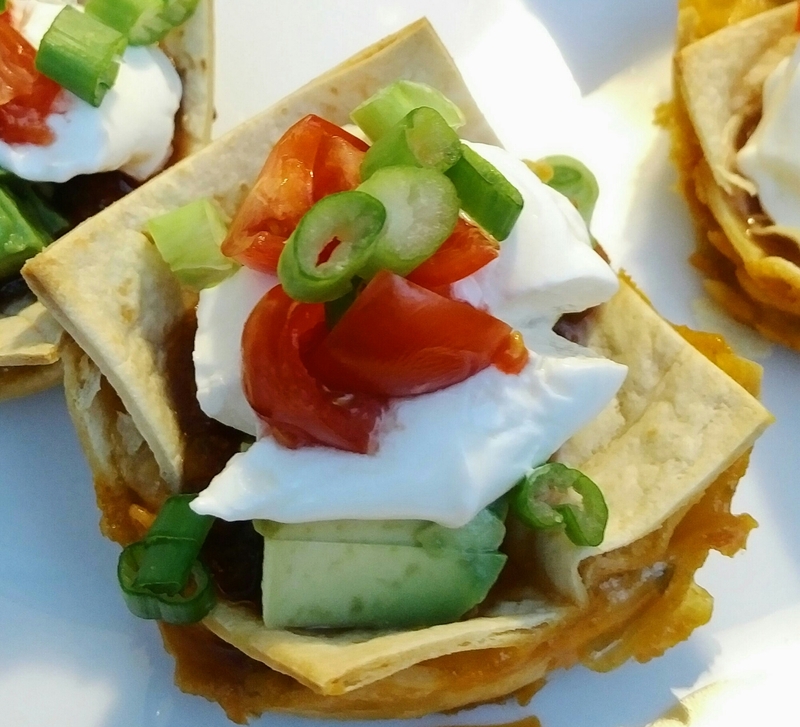 Next I tried out this Seven Layer Dip Cups Recipe. Usually I make a nacho casserole, but thought I’d change it up. Another easy recipe, that didn’t take long to make, with a 15mins bake time between steps. 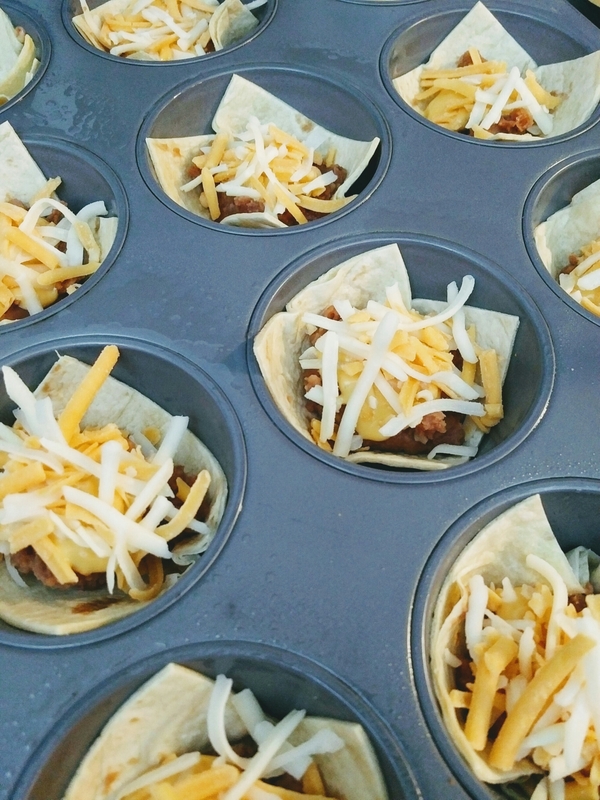 The first step called for placing refried beans and shredded cheese on top of a tortilla square. I also put a little bit of queso sauce in this layer, and though it made the bottom a little soggy, we enjoyed it. I would highly recommend both recipes for your next gathering or just to test out yourselves!! Will definitely make them again soon.